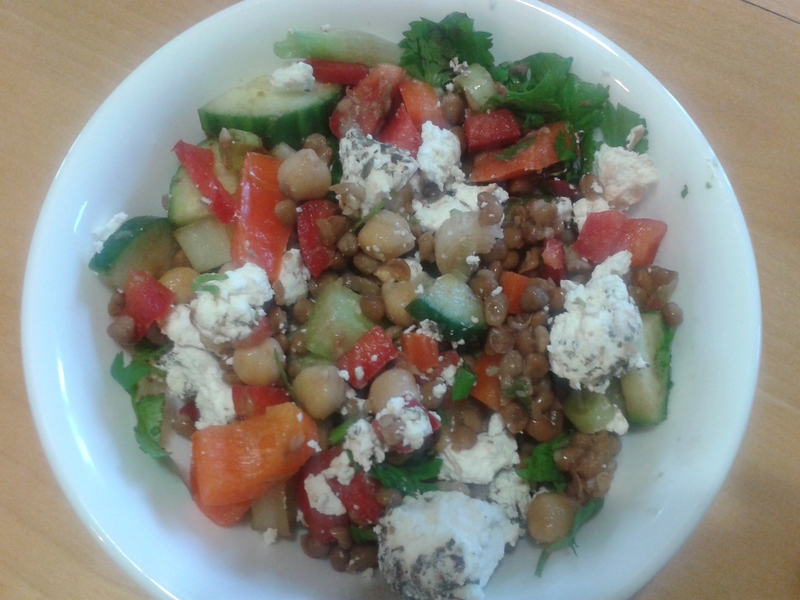 This salad has lentils and chickpeas which provides plant protein and leaves you feeling full, longer. I drizzle olive oil with lemon juice or apple cider vinegar, but feel free to add your favorite salad dressing. Cilantro is great for pulling heavy metals out of the body, but if you’re not a fan of too much cilantro, simply add less.